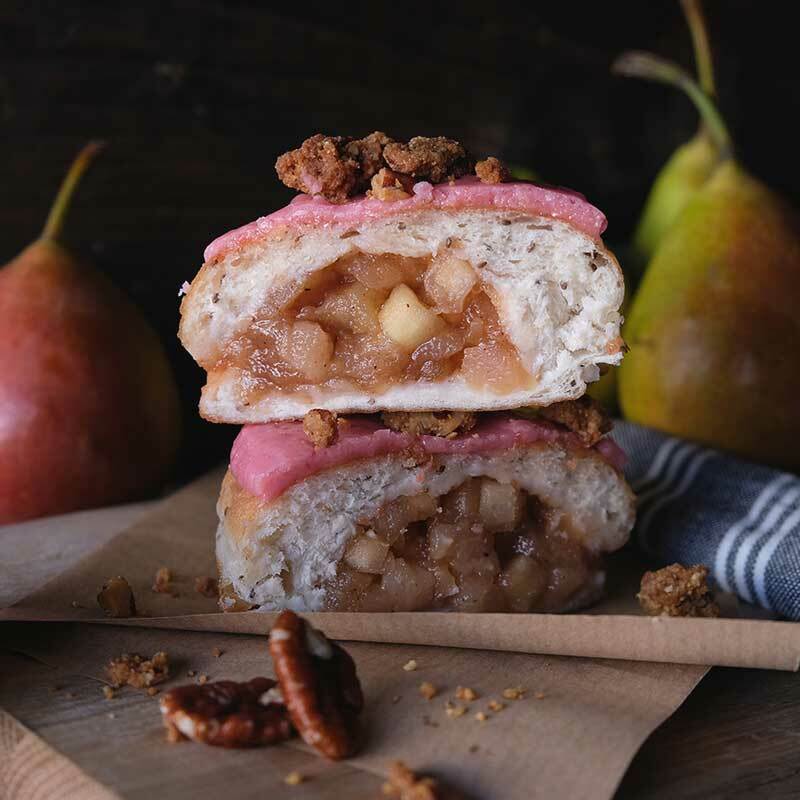 Our vegan sourdough filled with a festive spiced apple, pear and quince compote, topped with a quince icing and home made maple pecan crumble. 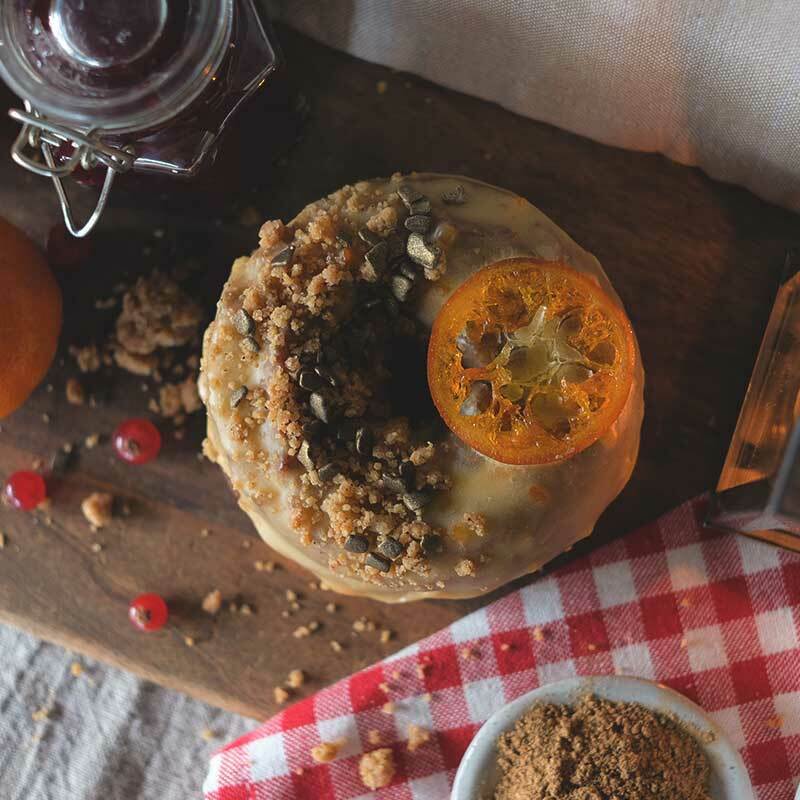 Gingerbread cake dough filled with cranberry compote, smothered in clementine icing and finished with a candied clementine and gingerbread crumble. Our signature sourdough filled with a vanilla and calvados cream custard, folded through with a sprinkling of Christmas pudding and finished with a hand-torched brûlée shell. 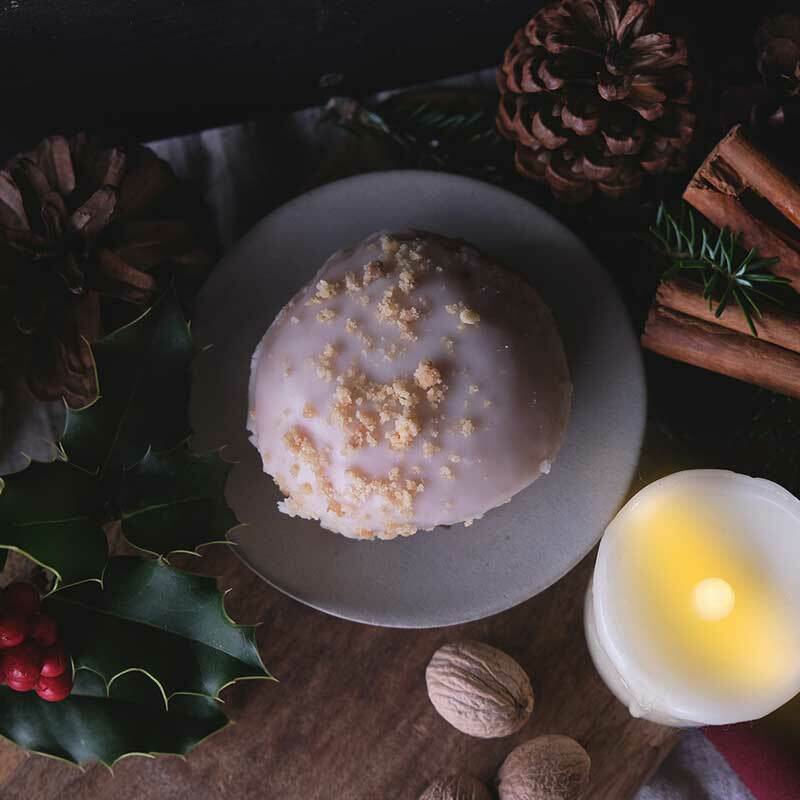 A mini sized doughnut (dough bite) filled with home made fruit mince, smothered with brandy icing and topped with home made vanilla crumble. Crosstown are scratch bakers. We make each doughnut by hand at our bakery in London, meaning there is a limit on the quantity we can produce each day. Our festive selection therefore has limited availability and is available for a limited time. Do not miss out. Be the first to hear about Crosstown news and future drops with a request below. 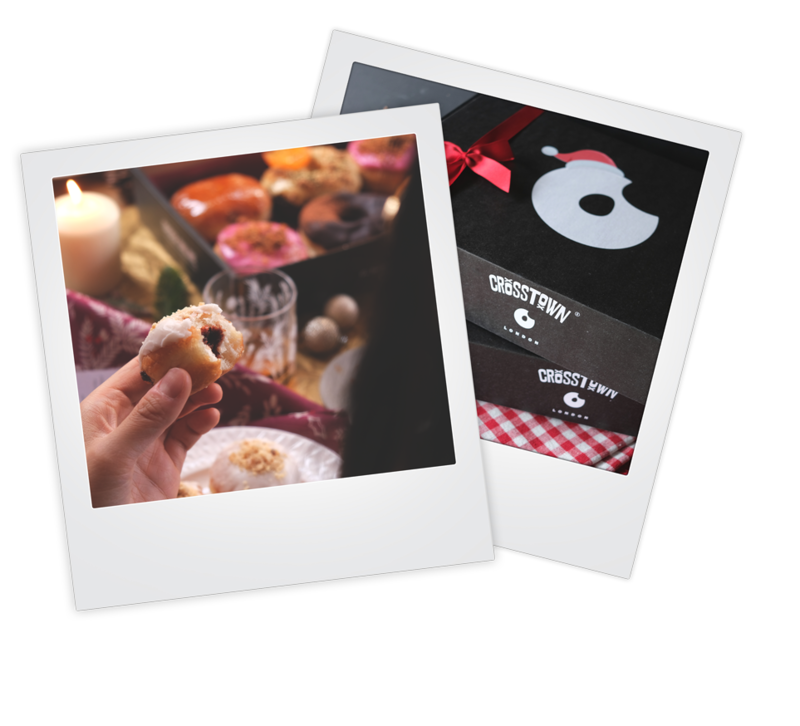 Need more than 70 doughnuts for your Christmas party or event? We’ve got you covered. We make our doughnuts fresh every day, and can deliver with Christmas gift wrap and personalised notes. 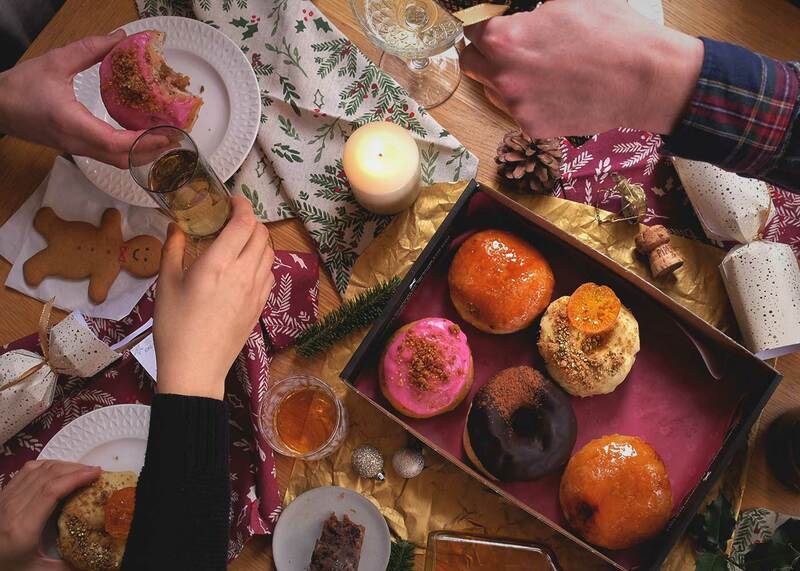 The Christmas Creme Brûlée, Gingerbread, vegan Winter Fruit Crumble & Mince Pie dough bite are available in all stores & on-demand. 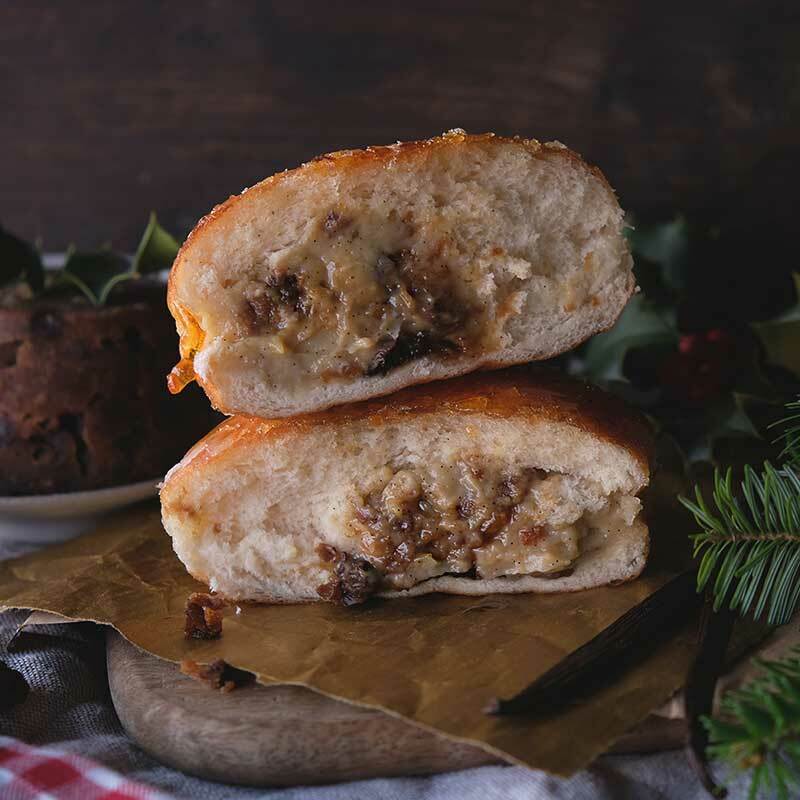 The vegan mince pie dough bite are available in Crosstown Marylebone and at Victoria Park Market & Brockley Market only. Pre-order online for guaranteed delivery. Find your nearest Crosstown here. In our vegan doughnuts, we have replaced eggs and dairy with a range of plant-based alternative ingredients to achieve the same tastes and textures we enjoy in our vegetarian doughnuts. We use chia seeds and coconut butter in our dough, and a varying combination of oat milk, coconut butter, dairy-free dark chocolate and silken tofu to make the fillings and glazes.